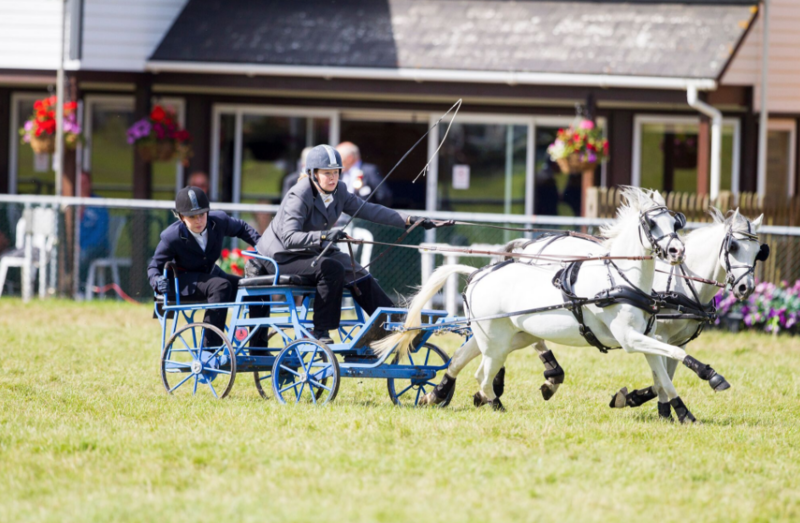 An obstacle course, two ponies, a racing carriage, one driver and one groom, add in furious pace and some impossibly tight corners and you have one of the many highlights of the Kent County Show. Double harness scurry racing has been taking place in the UK for over 35 years and is now being taken up elsewhere in Northern Europe and around the world. The race consists of a series of pairs of cones each with a ball on top which the racers must pass through, with time penalties for knocking any of the balls. The course has a slalom and some ridiculously tight turns which are taken at top speeds. The gap between the cones is set at 170cm, and the width of the racing carriage is 130cm, leaving only a measly 20cm each side for the drivers to negotiate! Given the pace and the difficulty of the turns, each racing team has a groom as a well as a driver. The groom stands on the back of the carriage to counterbalance the weight as the carriage bolts around the corners. There are two classes of ponies: 122cm and under, and between 122cm and 148 cm.  At the Show this year you’ll find the scurry racing over at the Astor Ring with qualifiers taking place at 1.20pm on the Saturday and 9.45am on the Sunday. The championship will kick-start at 3.15pm on the final day of the Show: don’t miss it!